Elegance, class, sophistication...no, we're not talking about ourselves! The Michelin recommended Paris House across the border in Woburn, Bedfordshire aces fine dining. It’s been a while since I had to look up a dress code for a restaurant, so it probably gives you some indication of where Paris House House sits in restaurant circles. Some of the blurb says that elegance, class and sophistication all go hand-in-hand with Paris House, and on this occasion, I have to agree. 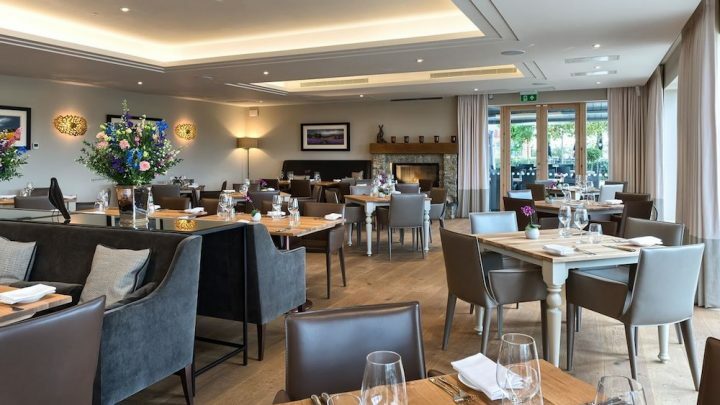 It’s owned by Phil and Claire Fanning (Phil was formerly head chef when the restaurant re-opened in 2010), who have brought their expertise, passion and creative flair together since they took over ownership back in 2014. It’s Michelin recommended with 3 AA rosettes so you know this isn’t any ordinary grub, and trust us, it’s something rather special with a specific focus on its unique tasting menu. In the heart of Woburn Park, it’s also quite the setting to enjoy this kind of food. 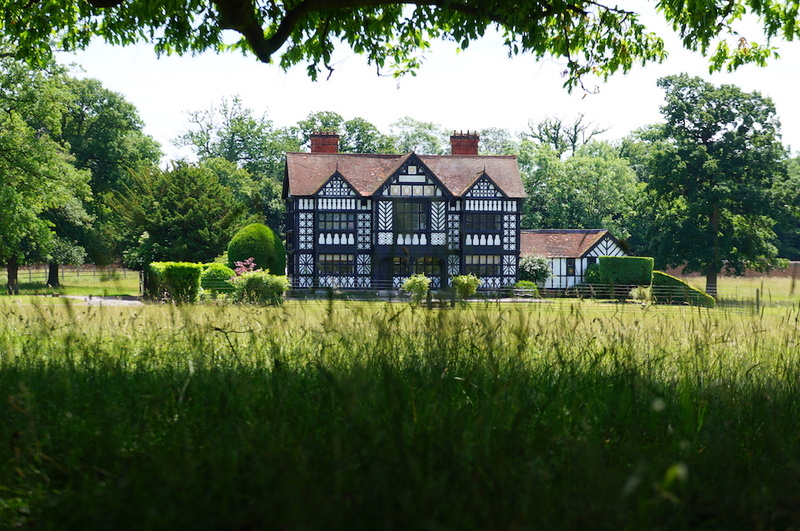 The house itself is a striking curiosity – a Tudor-style building built in Paris in 1878, spotted by the then Duke of Bedford and shipped piece by piece to his estate in Woburn Park at the end of the 19th century. 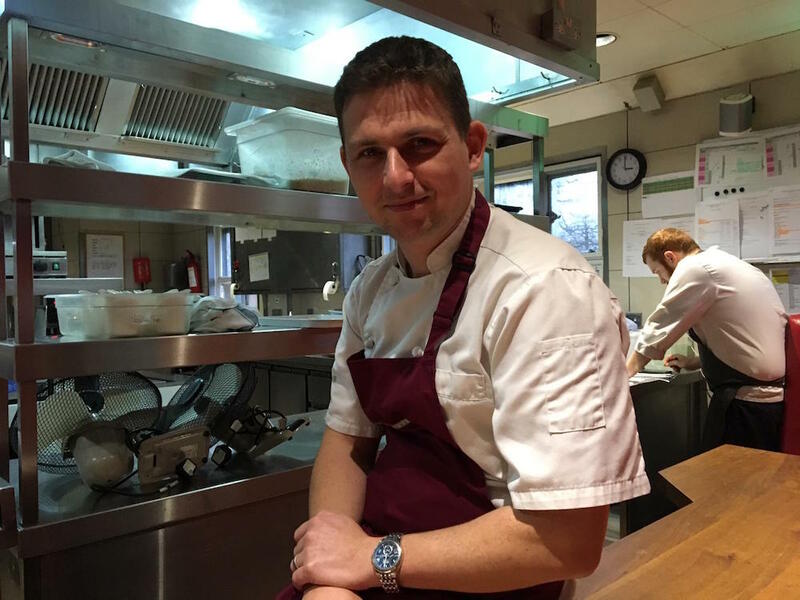 Phil gained a Michelin star at the age of 29 – a youngster! – having cut his teeth at L’Ortolan in Berkshire, and Claire has worked Front of House for some of the country’s finest restaurants and industry bods, including Tom Kerridge’s two Michelin Starred The Hand and Flowers in Marlow. Their commitment to Paris House is absolute, they truly love the place, and it’s become so much part of their family even the kids regularly pop in and help out on the pass or testing out the latest dishes. The colour scheme is both classic and modern, and the attention to detail is spot on (loving the teal touches). The staff are all trained to a super high standard and they seem rather happy to be there. 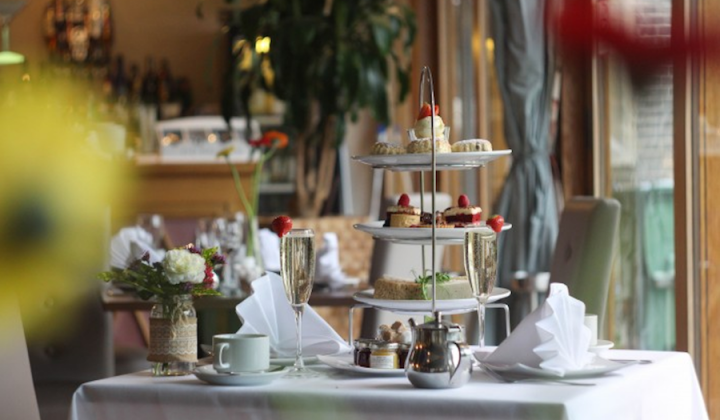 You’re very much a guest at Paris House and and the staff take great care of you which is probably why the clientele ranged from young couples to octogenarians and group business lunches to parents. It’s a grown up vibe, with the food very much centre stage. 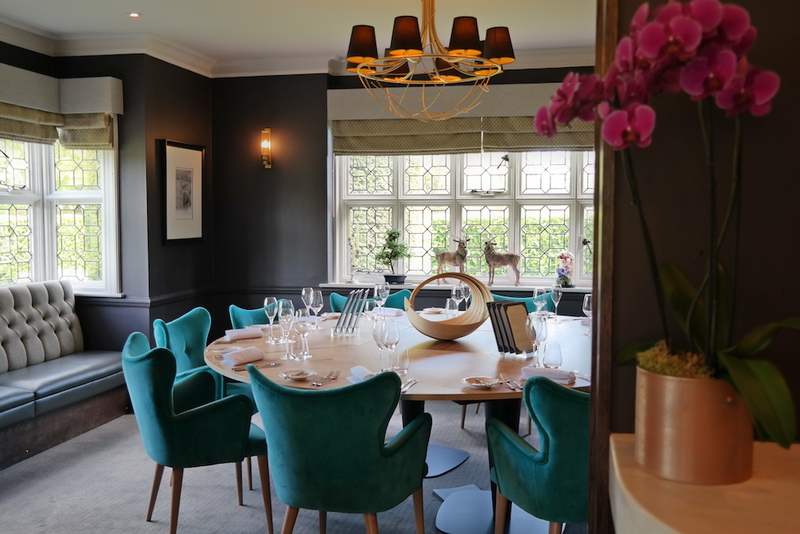 This is posh nosh and each seasonal menu is expertly crafted to produce a high impact and ‘sensational dining adventure’ – sounds exciting (and possibly a bit Heston) doesn’t it? The seasonality and quality of ingredients used are at the heart of everything created at Paris House. Phil’s love of refined Japanese cooking techniques is pivotal in getting the best out of each ingredient and achieving maximum flavour in every dish. He’s hugely passionate on craftsmanship and will spend a whole day with the team each week on development. Phil Fanning showing us how it’s done (we met him, he was lovely AND talented)! I had the Sentaku Choice menu which is their version of an à la carte menu designed for those who have less time or a smaller appetite, and chose veggie for both courses. The Bao Bun (steamed dumpling with kimchi and tofu – £28) was a taste sensation! My daughter, the meat eater, went venison (roast loin, black pudding, chicory & hazelnut – £33) and said it was very, very tasty and superbly cooked. I think she may have been put off a little about the roaming deer in the park, but she’d eaten her plate up by that point – phew! 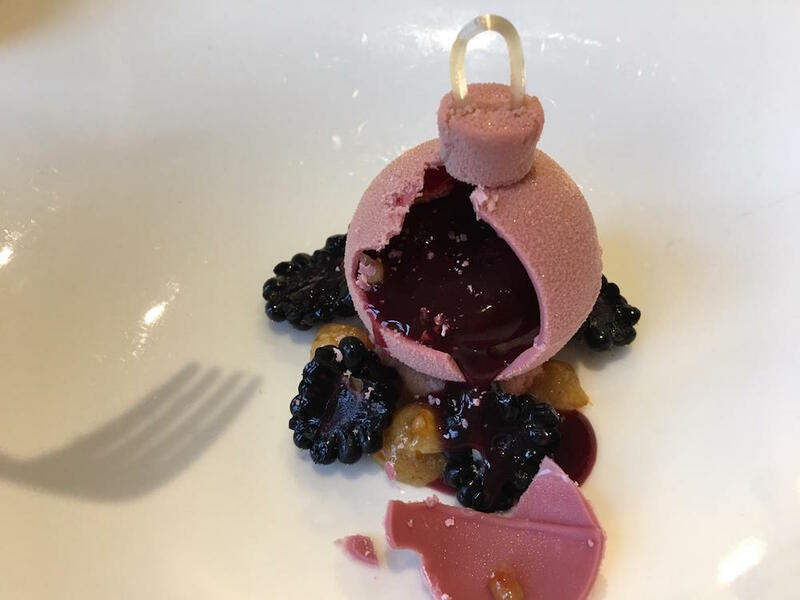 The Bauble pudding (blackberry, spiced orange and ruby chocolate), was a fantastic festive spectacle for my pre-Christmas meal; and tasted as good as it looked. The restaurant’s USP is its location. It’s set in the stunning 22-acre deer park of the Woburn Estate in Bedfordshire, so you can enjoy a stroll around the park after indulging. 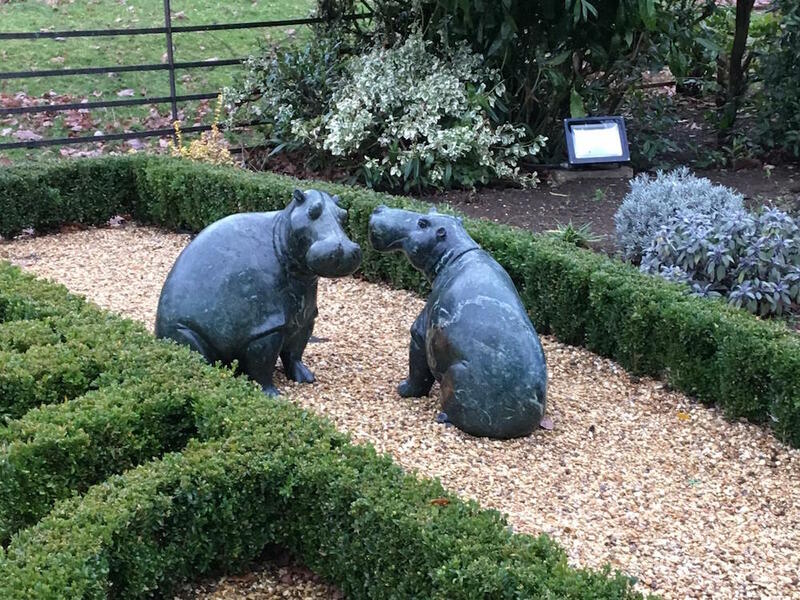 The Estate has plenty to offer so you can easily fill a day, with the Woburn Safari Park, Milton Keynes 10 minutes away and the Woburn Hotel less than 2kms down the road if you want to rest up for the night. Good for: Calling all foodies who like fine dining, tasting menus and trying out innovative food; this is the perfect place for you! Also for anyone who fancies a special treat really; it’s very elegant and the staff make you feel super special as soon as you step in. Worth a note that there were several vegetarian and vegan options, even on the tasting menu. There’s a Chef’s Table with its dramatic red banquette, offering groups of between 2 and 8 guests an immersive experience which is pretty groovy, plus Phil offers cooking masterclasses for all abilities. Not for: Toddlers and ravers – we don’t think the littlies (or party animals) would have the attention span for a tasting menu. The grown-up feel might not be for casual Sunday lunch brigaders. 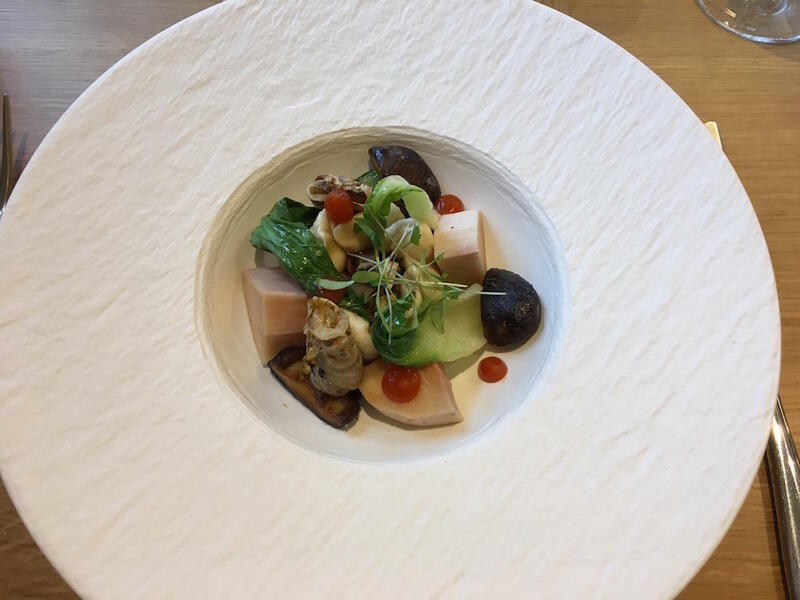 The damage: Fine dining costs, but Paris House comes in at a reasonable £54 for 6 courses, £96 for 8, and £115 for 10 (wine pairings available). You really get what you pay for here, it’s worth the money. 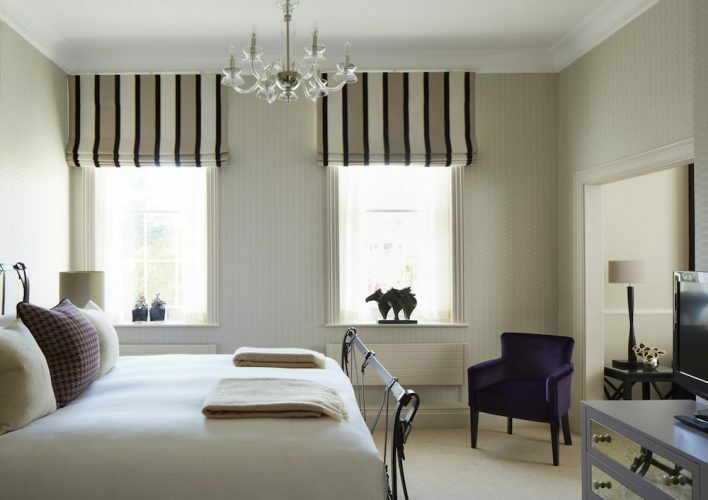 Paris House, Woburn Park, Woburn MK17 9QP. Tel: 01525 290692.
Review: Muddy Northants editor Anna Lou Dearden. Did you find this useful? Read more of our recent pub and restaurant reviews!